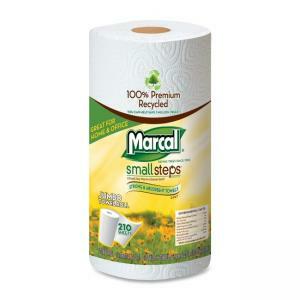 Full Size: 11" x 9"
Jumbo roll of two-ply towels is made of 100 percent premium recycled material. Strong, absorbent towels are great for the home or office. Larger size creates long-lasting value. 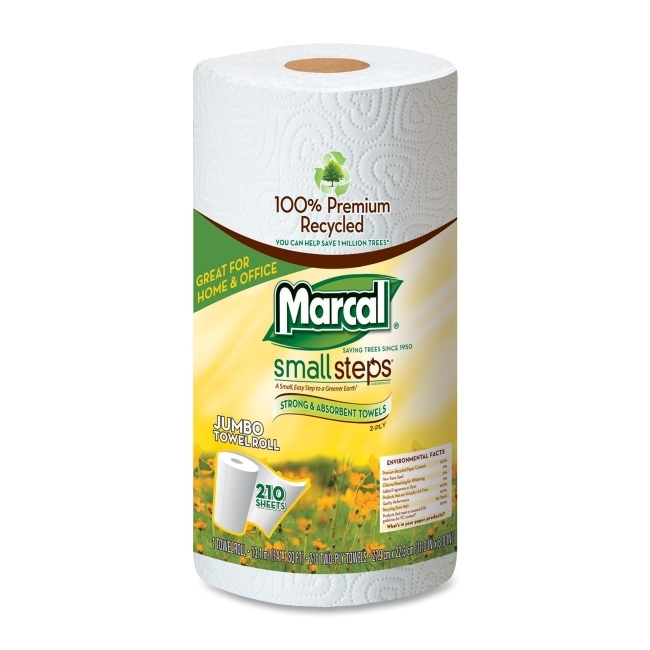 Each perforated roll contains 210 sheets and is individually wrapped for greater hygiene.